While this revolution is gaining wide acceptance, ShareLock, a German blockchain company that promises to be in the center of the so-called Bicycling Revolution has arrived. ShareLock is a German blockchain company that promises to be in the center of the so-called Bicycling Revolution. Basically, the great idea that drives this company forward is peer-2-peer bicycle sharing. There are many initiatives around the world in bicycle sharing, but this company wants to use the blockchain technology to make them go a step further. Clients of this company will be able to rent a bicycle anytime they want. 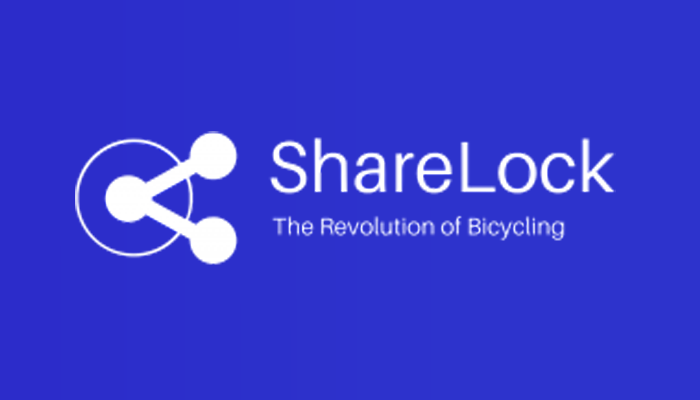 Furthermore, The ShareLock platform provides a simple interface, designed for sharing and serving as a bridge between traditional bike sharing and the general bicycle industry. The extensive services offered by ShareLock aims to provide various key components of the bicycle industry and serve Peer2Per bike sharing a marketplace, its own product but also its own fleet. We plan to offer a wide range of services that are not available yet. By a user-friendly but also user-oriented environment we want to enable our customers within a short time a bike. Besides to rent safely and to meet the needs of private and commercial users. Our vision of providing all-in-one option encourages cyclists' growth, personal health. ShareLock is a revolutionary bicycle designed to provide the highest levels of security while providing GPS technology. In tandem with our app, users want to get their bicycles for reward and aid in reduced congestion in busy cities and helping to reduce emissions to allow for a cleaner city for everyone. With ShareLock, we offer a unique opportunity to rent your bike directly to tenants. We also have our own bike stock for rent, standard bikes, E-bikes and even bikes! One of the most interesting features that you will find on ShareLock is the smart lock. By using the smart lock system on your bicycle, you will be able to ride it with more safety. This technology protects the object as soon as you get away from it, protecting it from stealing. A special smart lock will be constructed on the wheels of the company’s bicycles and they will lock wherever someone that is not the user will try to use them. The locks will also make it easier for you to rent your bike because you will know that the person will not be able to use it after the time that was combined if it does not give you the object back. The smart bicycles will also use GPS, so you will always be able to track them by using the company’s software. You will also never need to use any type of key you will be able to use your bicycle only by using your app. If someone uses some tool like a hammer or a fire thrower to break your bike and take it away, the software will send you a message so you will always be aware of these things as soon as they are happening. The products will be made 100% in Germany and they will be made with two goals in mind: to protect you at all times with all the features already stated and to be resistant to weather conditions like rain and snow, so you will be able to use your bike at any time without worried about how the weather will affect it. Free usage for your own 50 hour monthly bike! 20% off for all services! Lasts from 01. July 2018 to 31. July 2018. GENERAL: Price per SHX = 0.05 € + bonus Payment method = Fiat + ETH, BTC Pre-Sale Hardcap: 5% = 18.750.000 SHX Main Sale Hardcap: 95% = 356.250.000 SHX Total: 500,000,000 SHXA total 500,000,000 ShareLock tokens are made, 375 million sold during our ICO. ShareLock announces its official Bounty program, which aims to raise awareness and reward our community for its support. A total of $ 1.5 million worth of ShareLock tokens + 750K in ETH (if hard cap reached) will be awarded to the Bounty Program. 25,000,000 of 500,000,000 SHX tokens are available as a reward.